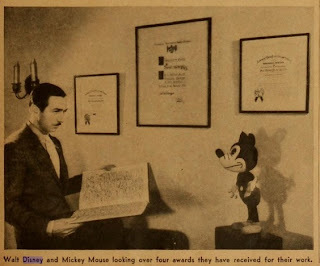 I love this photo of Walt with some of his awards. It was probably taken during the first part of 1934. 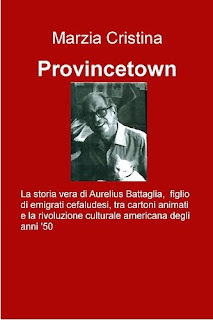 [I wrote the story of the cartoonist Battaglia through the letters of his companion Eleanor Dalton, who corresponded with me for about 4 years. 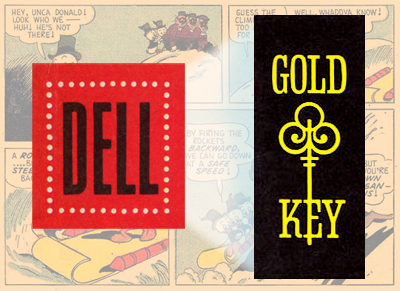 Ada, a relative of Disney cartoonist and American illustrator of sicilian origin Aurelius Battaglia, contacted Eleanor Dalton, the artist's companion when she was young and had a long correspondence with her. Once she was old, she tells through those letters Aurelius life, painting an interesting story of cultural change of USA in '50s. In the real life I corresponded to Eleanor from 1999 until her death in about 2003, and she was about 70 years old. In the book Ada (who represents me) is an old woman who remembers the corrispondence with Eleanor that she (Ada) had when she was young. I will let know know what it is worth as soon as I get it. And another one. Again thanks to Gunnar. 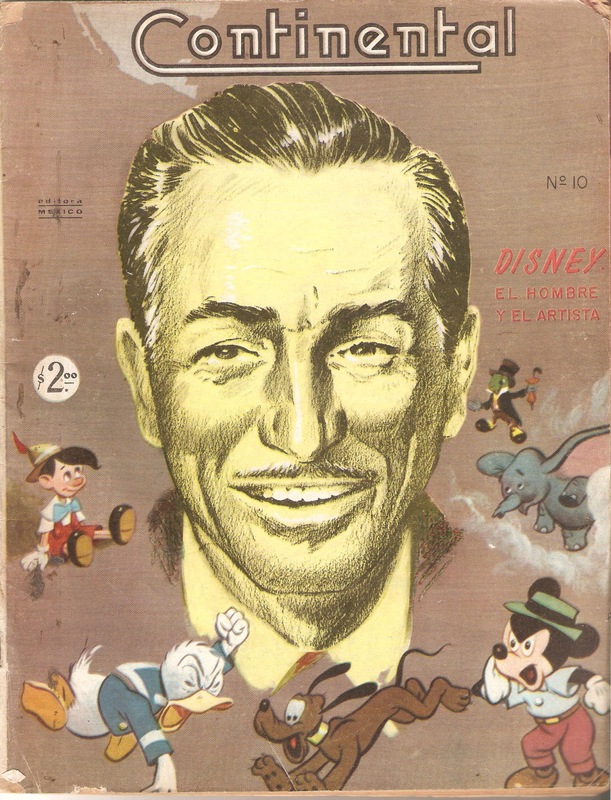 One more magazine cover featuring Walt, thanks to Gunnar Andreassen. A Mexican magazine I picked up recently. Another Lars figure I had never seen before: One of the crows from Dumbo! I recently located the above article in the online archives of Box Office Magazine. What makes it exceptional is that it contains the only known photos of William Banks Levy and Hal Horne, both of whom played an important part in the early history of Disney merchandizing. As you can see, however, this is a very low resolution image. I contacted Box Office Magazine but they do not provide high resolution scans. 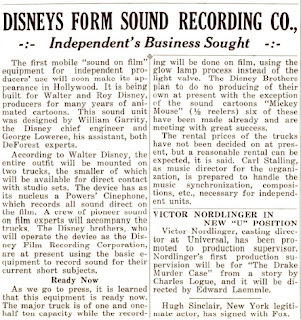 Would anyone be able to locate a physical copy of the issue from June 17, 1939 which contains this article? If so, could you email me at didier.ghez@gmail.com? 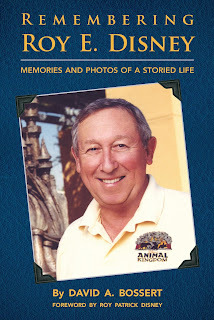 Lella Smith is editing what will probably be a fascinating biography of Marc Davis, to be released in the Fall of 2014. To learn more about this upcoming book, listen to this great Podcast. To say that 2013 is a busy year on my side would be the understatement of the decade. 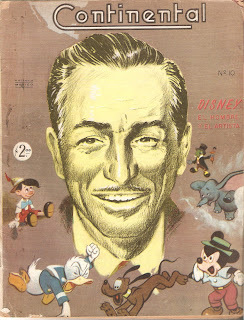 On the Disney history side, I recently completed the manuscript of Walt's People - Volume 13, am hard at work on Volume 14, and am finalizing a fascinating (from my point of view) monograph about Walt's trip to Europe in 1935. And this is just the tip of the iceberg. Some projects take more time than others: Greg Ehrbar and I have spent close to 5 years working on the autobiography of Jimmy Johnson. 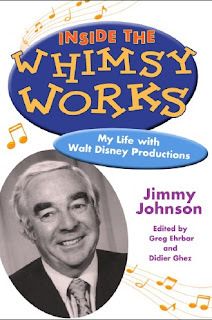 Inside the Whimsy Works was written by the Disneyland Records President in 1975. Jimmy passed away shortly afterwards and the manuscript gathered dust for more than 30 years until Greg and I decided to approach Jimmy's family to release it. It will finally be published in February of next year. For all of you interested in the business side of the company this will be a "must-have." Note: My good friend Jim Marks was an instrumental part of the project from day one and although his really great layout design was not used in the final book (since University of Mississippi Press decided to use their own designers) the project would not have been able to happen without him. CartoonBrew just announced officially that "Ross Anderson is currently writing the definitive book about the making of Roger Rabbit, beginning with Gary K. Wolf’s novel and Disney’s early Roger Rabbit development unit, continuing with the production of “Who framed Roger Rabbit”, and through the follow-up shorts, merchandising and theme park presence, and development work on sequels." Can't wait. 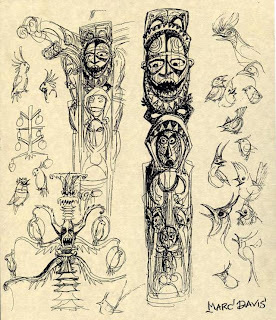 Do not miss the great article written yesterday by Ross for CartoonBrew. BURBANK, Ca., April 8, 2013 - Actress Annette Funicello, long-time Disney and Beach Party star, passed away on Monday April 8 at Mercy Southwest Hospital in Bakersfield, CA, at the age of 70. She died peacefully from complications due to Multiple Sclerosis, a disease she battled for over 25 years. Beloved by television viewers in the 50s for her stint on Disney's original The Mickey Mouse Club, and by film buffs for her numerous roles in a series of popular teen-oriented movies in the 60s, Funicello became a pop culture icon. Commenting on her passing, Bob Iger, Chairman and CEO of The Walt Disney Company, said, "Annette was and always will be a cherished member of the Disney family, synonymous with the word Mousketeer, and a true Disney Legend. She will forever hold a place in our hearts as one of Walt Disney’s brightest stars, delighting an entire generation of baby boomers with her jubilant personality and endless talent. Annette was well known for being as beautiful inside as she was on the outside, and she faced her physical challenges with dignity, bravery and grace. All of us at Disney join with family, friends, and fans around the world in celebrating her extraordinary life." 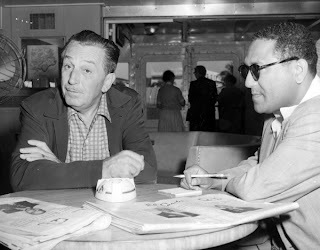 Oscar®-winning composer and Disney Legend Richard Sherman, who, with his late brother Robert, wrote many of Annette's biggest song hits, said, "Annette's sweet, unassuming spirit, her love of people, and her capacity to exude kindness and good feelings to everyone she met was part of her beautiful charisma. Because the songs we wrote for her brought us to the attention of Walt, Bob and I always referred to Annette as our 'lucky star.’ My wife, Elizabeth, joins me in sending a heartfelt aloha with much love to our 'Pineapple Princess.'" Fellow Mouseketeer and long-time friend Sharon Baird observed, "Throughout all the years we were friends she never changed from that sweet person who cared so much about others. She always had time for everyone; family, friends and fans alike. It’s no wonder she was America’s sweetheart." Born October 22, 1942, in Utica, New York, Funicello and her family moved to Los Angeles' San Fernando Valley when she was four years old. 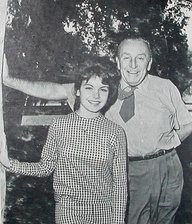 She was discovered by Walt Disney at age 13 while dancing the lead in Swan Lake at the Starlight Bowl in Burbank and he invited her to audition for his new children’s TV series called The Mickey Mouse Club and was hired on the spot to become a Mouseketeer. 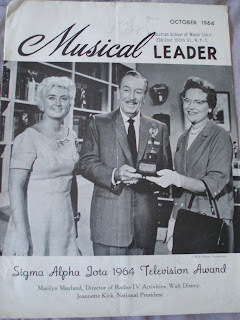 The show debuted on October 3, 1955 and Annette soon became the most popular member of the group. 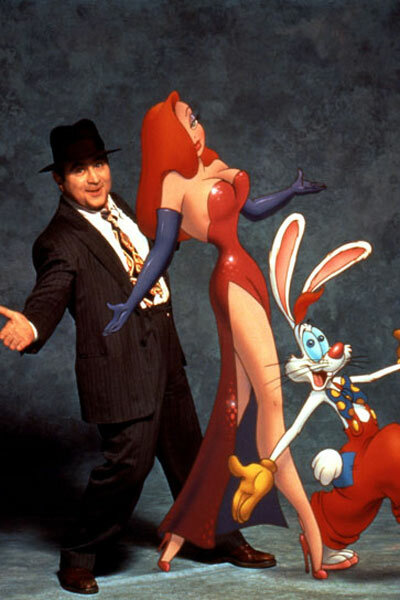 The series ran for three original seasons and in reruns through the 1990s. Despite battling MS, in the 1990’s Annette launched The Annette Funicello Teddy Bear Company, marketing a line of collectible bears on QVC, and developed her own perfume line, Cello, by Annette. 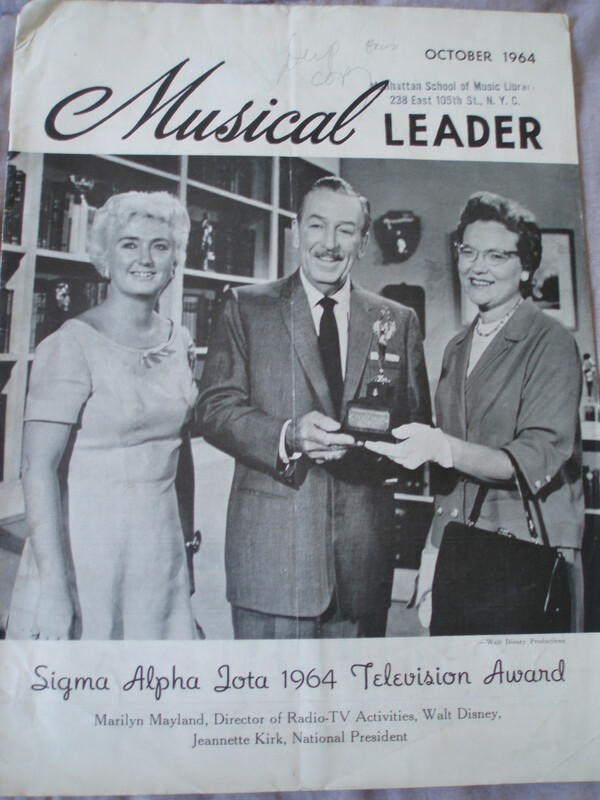 In 1992, on her 50th birthday, she was named a Disney Legend. However, as she became more debilitated by MS, Annette retreated from public appearances in the late 1990s and has been cared for since that time by her second husband, rancher Glen Holt, who she married in 1986. She was previously married to Jack Gilardi from 1965 until their divorce in 1981. She has three children from her first marriage; Gina, Jack Jr. and Jason, and three young grandchildren. In lieu of flowers, donations in Annette’s memory can be made to The Annette Funicello Research Fund at annetteconnection.com. 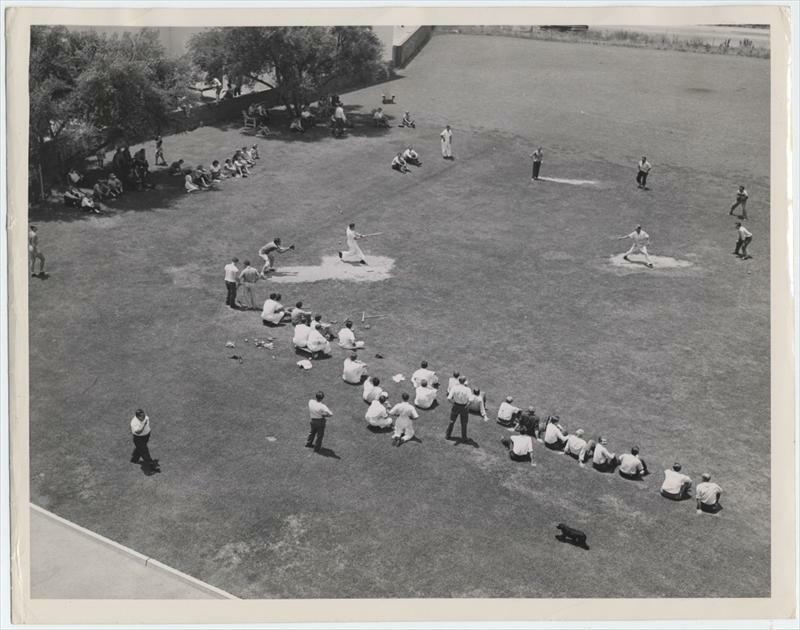 [This is an original Walt Disney Productions black-and-white glossy photograph of an afternoon baseball (or softball) game played by men of the Disney Studio on a nearby lot in 1935. The picture was taken at the studio located on Hyperion Avenue in Hollywood before the move to Burbank in 1940, likely from the roof of a building; one of the men seated at lower right has turned to look up toward the camera, and his features are discernible. Looking forward to buying this book later this year. 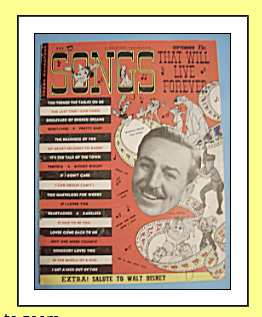 A future volume of Walt's People will contain an "insanely" great interview with Bob Cook by Dave Smith from 1976 about the Disney Film Recording Company. 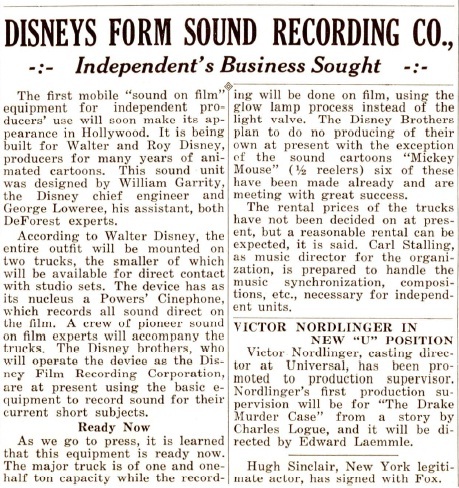 In the meantine, here is a short article from the magazine Sound Waves, dated April 15, 1929. 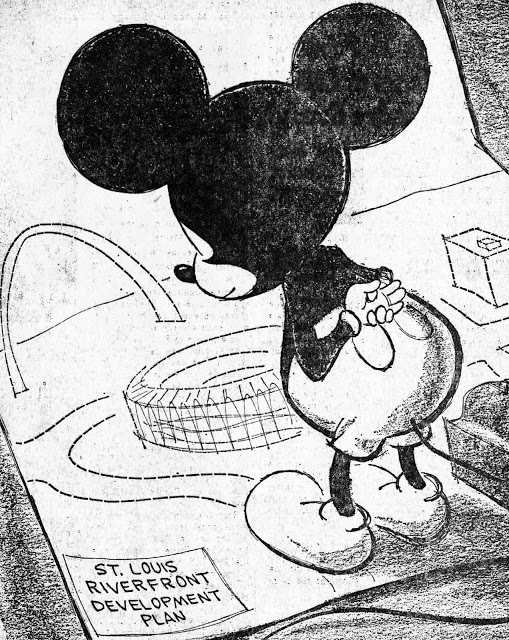 A while ago I had the pleasure of writting an article about the Italian plush dolls produced by the company Lars in the '50s for Tomart's Disneyana Update. Three of the dolls above are definitely from Lars: Bill and the Walrus from Alice in Womderland, as well as Ellsworth. Timothy might also be, also I am much less certain about this. 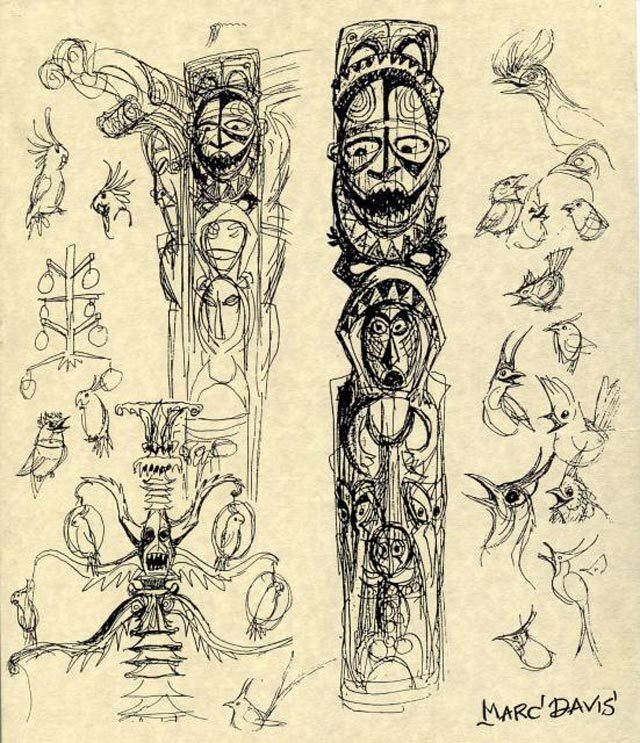 They are all extremely rare and were sold last week on ebay. For some reason I just love this ad which I spotted on ebay a few weeks ago and I thought you would, too.